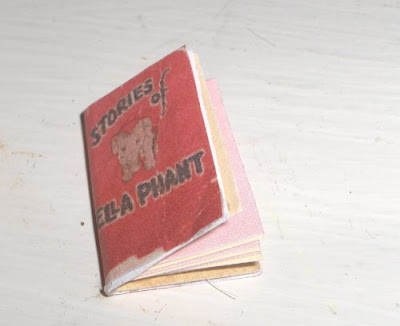 this little book was simply made by printing the cover from Hitty Print Minis and then cutting pieces of paper to fit inside, stacking them evenly and setting them right into the book on a strip of hot glue run right down the middle. I will get better at this. You know how I love books. I love your little books from this post and last. No, I had not looked at that yet. I must! If only I had more time to surf around and look at things. Thank you so much for point this out!